The Best Trading Platform In Pakistan | ACM Gold (Pvt) Ltd. Forget fixed platforms and limited choices. 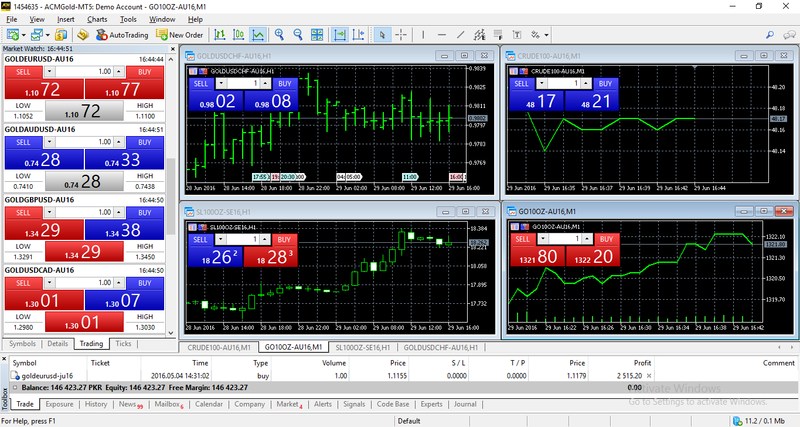 With MT5 you’re the master of your own trading environment. Industry news about commodities, global views, charts, whatever you want! You get additional capabilities to make your trades more successful. Welcome to next-generation commodity trading with one of the top brokers in town. I'd like ACM Gold to contact me. If you are on the phone with support and are asked to enter a "LogMeIn code", enter it below.